Bortek is your complete cleaning solutions resource. 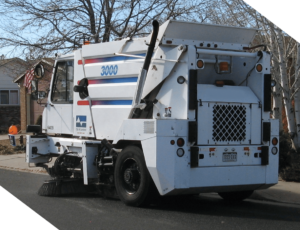 We also happen to be your one-stop-shop when it comes to your Municipality’s Johnston Street Sweeper Aftermarket Parts Service! On-the-road service is available to you in order to keep your cleaning machine at its peak levels of productivity. If you prefer, we can also take your machine to our heavy duty service center and get it back to its former glory, whichever works best for you. 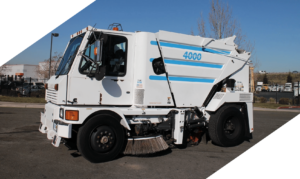 Johnston Sweepers are renowned for their reliability, effectiveness, and overall productivity. Like any other kind of machine or piece of equipment, keeping it in good repair is essential to maintaining its quality of performance. Brooms wear down, belts wear out, oil/and grease requires a little TLC… the list goes on and on. That’s where we come in. These machines can be a bit difficult to wrap your head around due to their inner composition and the sheer amount of working parts they tend to have. Save yourself the headaches of trying to diagnose why it’s taking two passes to sweep up what used to take just one. Our highly professional and trained service technicians are all about this stuff. They’ll take care of it. These folks make phenomenal equipment. In order to ensure you’re able to have their equipment maintaining the best quality, we’ve made our expertise in our industry, regarding aftermarket Service Maintenance and Parts, available to you. *Bortek Industries, Inc. is not an official provider of Johnston parts or service. Bortek is in no way affiliated with Johnston. For officially recognized Johnston dealers and service locations, click here.